Testing notions of good taste and painterly conventions, Richard Patterson’s complex, multi-layered paintings are catalogued in depth in this first substantial monograph. Patterson’s paintings sit firmly within the grand tradition of European and American art, to which he has added his own. One of the Young British Artists to emerge in the late 1980s, and a participant in both the Freeze and Sensation exhibitions, Patterson has continued to challenge and push the boundaries of painting today. His practice is steeped in British and American pop culture allusions – ranging from films, magazines and music to advertising and consumerism – whilst simultaneously testing the links between painting, iconography and narrative. 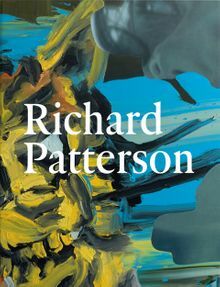 Alongside texts by Toby Kamps and Jeremy Strick and an interview with the artist by Martin Herbert, over 150 colour illustrations of studies and details provide a fresh look at Patterson’s dynamic paintings. To commemorate the publication, Patterson has created a limited-edition digital print, The Birth of Jan (2013), in association with Timothy Taylor Gallery. Each edition is hand-finished by the artist and contained within a custom-made slipcase. Clth, 9.63 x 11.63 in. / 192 pgs / 150 color.